A decade ago, before social media was a widespread phenomenon and blogging was still a nascent activity, it was nearly unthinkable outside of a handful of countries—namely China, Tunisia, Syria, and Iran—to detain citizens for their online activity. Ten years later, the practice has become all too common, and remains on the rise in dozens of countries. In 2017, the Committee to Protect Journalists found that more than seventy percent of imprisoned journalists were arrested for online activity, while Reporters Without Borders’ 2018 press freedom barometer cited 143 imprisoned citizen journalists globally, and ten citizen journalists killed. While Tunisia has inched toward democracy, releasing large numbers of political prisoners following the 2011 revolution, China, Syria, and Iran remain major offenders, and are now joined by several countries, including the Philippines, Saudi Arabia, and Egypt. When we first launched Offline in 2015, we featured five cases of imprisoned or threatened bloggers and technologists, and later added several more. We hoped to raise awareness of their plight, and advocate for their freedom, but we knew it would be an uphill struggle. In two cases, our advocacy helped to secure their release: Ethiopian journalist Eskinder Nega was released from prison earlier this year, and the Zone 9 Bloggers, also from Ethiopia, were acquitted in 2015 following a sustained campaign for their freedom. 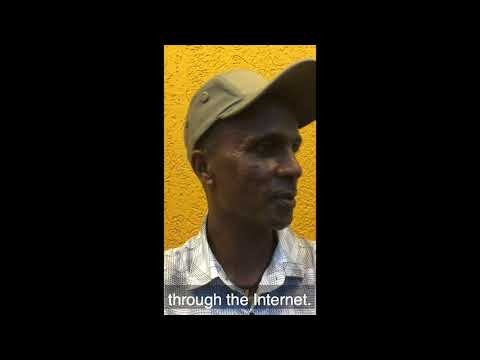 Award-winning Ethiopian journalist Eskinder Nega on the power of the Internet and journalism. Today, the situation in several countries is dire. In Egypt, where a military coup brought the country back toward dictatorship, dozens of individuals have been imprisoned for expressing themselves. Activist Amal Fathy was detained earlier this year after a video she posted to Facebook detailing her experiences with sexual harassment in Cairo went viral, and awaits trial. And Wael Abbas, an award-winning journalist whose experiences with censorship we’ve previously documented, has been detained without trial since May 2018. We also continue to advocate for the release of Alaa Abd El Fattah, the Egyptian activist whose five-year sentence was upheld by an appeals court last year. Three new Offline cases demonstrate the lengths to which states will go to silence their critics. Eman Al-Nafjan, a professor, blogger, and activist from Saudi Arabia, was arrested in May for her advocacy against the country’s ban on women driving, which was repealed just one month later. Ahmed Mansoor is currently serving a ten-year sentence for “cybercrimes” in his home country of the United Arab Emirates after being targeted several times in the past for his writing and human rights advocacy. And Dareen Tatour, a Palestinian citizen of Israel, recently began a five-month prison sentence after several years of house arrest and a lengthy trial for content she posted on social media that had been misinterpreted by police. Advocacy and campaigns on behalf of imprisoned technologists, activists, and bloggers can make a difference. In the coming months, we will share more details and actions that the online community can take to support these individuals, defend their names, and keep them safe. To learn more about these and other cases, visit Offline.